Polarity means the direction of the induced voltages in the primary and the secondary winding of the transformer. If the two transformers are connected in parallel, then the polarity should be known for the proper connection of the transformer.There are two types of polarity one is Additive, and another is Subtractive. Subtractive Polarity: In subtractive polarity different terminals of the primary and secondary side of the transformer is connected. Each of the terminals of the primary as well as the secondary winding of a transformer is alternatively positive and negative with respect to each other as shown in the figure below. 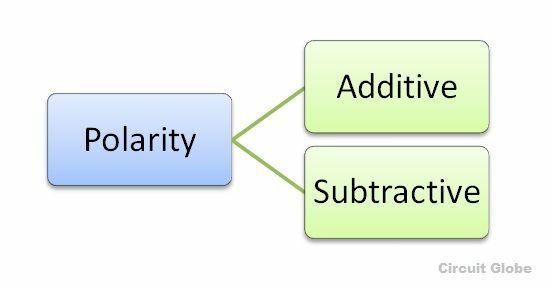 Let A1 and A2 be the positive and negative terminal respectively of the transformer primary and a1, a2 are the positive and negative terminal of the secondary side of the transformer. If A1 is connected to a1 and A2 is connected to a2 that means similar terminals of the transformer are connected, then the polarity is said to be additive. If A1 is connected to a2 and A2 to a1, that means the opposite terminals are connected to each other, and thus the voltmeter will read the subtractive polarity. It is essential to know the relative polarities at any instant of the primary and the secondary terminals for making the correct connections if the transformers are to be connected in parallel or they are used in a three phase circuit. In the primary side, the terminals are marked as A1 and A2 and from the secondary side the terminals are named as a1 and a2. The terminal A1 is connected to one end of the secondary winding, and a voltmeter is connected between A2 and the other end of the secondary winding. When the voltmeter reads the difference that is (V1 – V2), the transformer is said to be connected with opposite polarity know as Subtractive polarity and when the voltmeter reads (V1 + V2), the transformer is said to have additive polarity. Connect the circuit as shown in the above circuit diagram figure and set the autotransformer to zero position. Records the values of the voltages as shown by the voltmeter V1, V2 and V3. If the reading of the V3 shows the addition of the value of V1 and V2 that is V2 = V1+V2 the transformer is said to be connected in additive polarity. 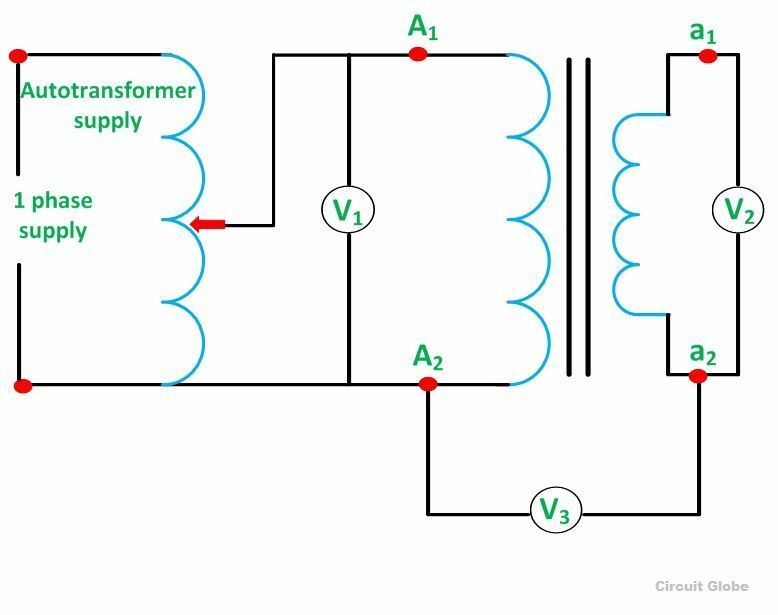 If the reading of the V3 is the subtraction of the readings of V1 and V2, then the transformer is said to be connected in subtractive or negative polarity. Thank you very much, mam. It’s a great privilege to have webby like this!